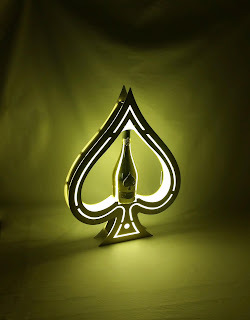 This phenomenal product is a must have for bottle service in any setting specially nightclubs, bars and lounges. 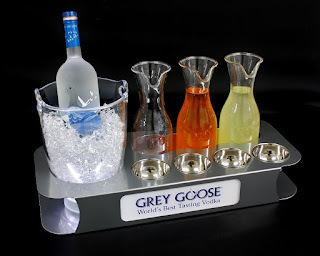 Our bottle service serving trays will show your guest great service and will also give your venue an upscale appearance This bottle service serving tray will keep all your items in order and will surely help your vip host with the carrying of the bottles and mixers required to complete a bottle service experience. 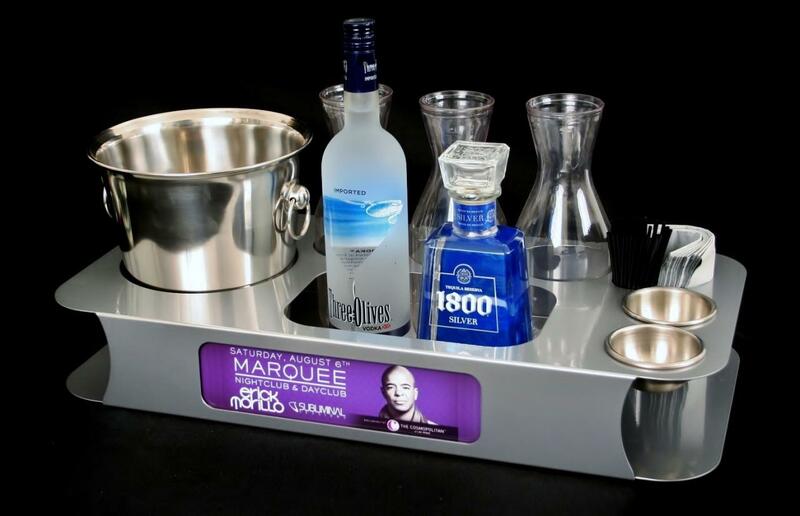 Our bottle service serving tray comes with 3 CARAFES, 2 GARNISH BOWLS, 1 ICE BUCKET, 1 NAPKIN/STRAW COMPARTMENT. The best part of this item is that we can customize the front compartment it with your club logo, your name or name of event. 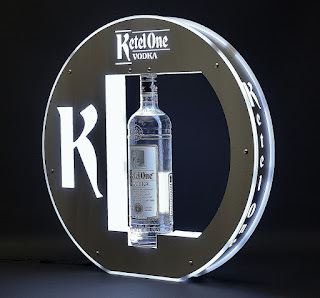 This item is great for nightclubs, bars and lounges! This VIP Serving tray will surely get the attention of your guest and will show how much attention is put into there needs. 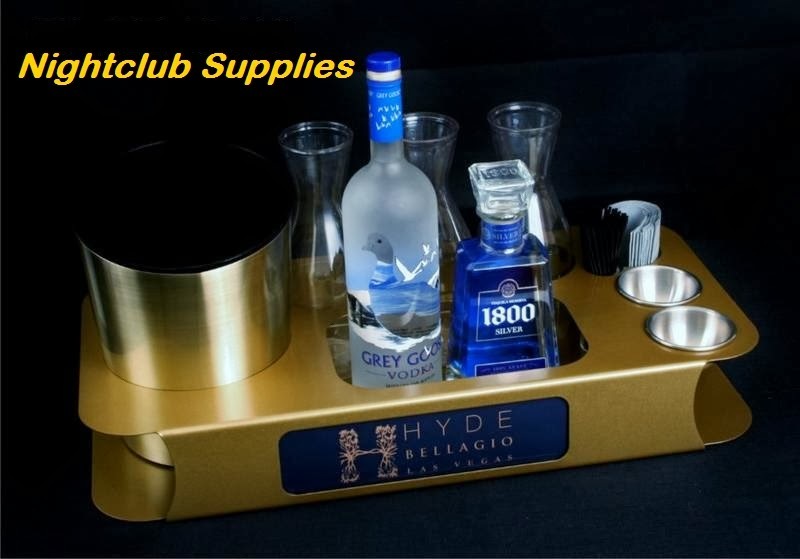 Nightclubs and Lounges all over the world have come to Nightclub Supplies USA for there bottle service needs. 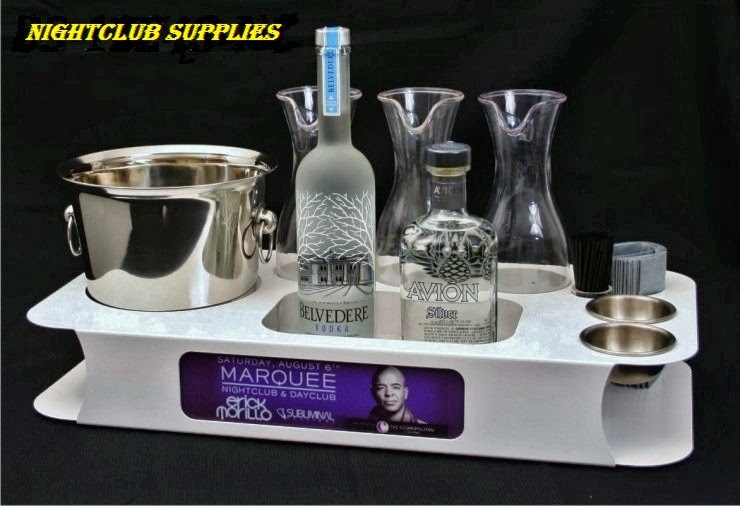 From VIP SPARKLERS, LED sparklers, wristbands, vip serving trays, and much more.. We carry it all..
Last but not least, check out our IMPERIAL SERVING TRAY. This tray is the most elegant tray we have. Its BIG its FANCY and it will totally blow your customers away.. It also has a LOCKING cage and the option to PUT your logo on it..
VIP SERVICE is an important part of the nightlife industry. 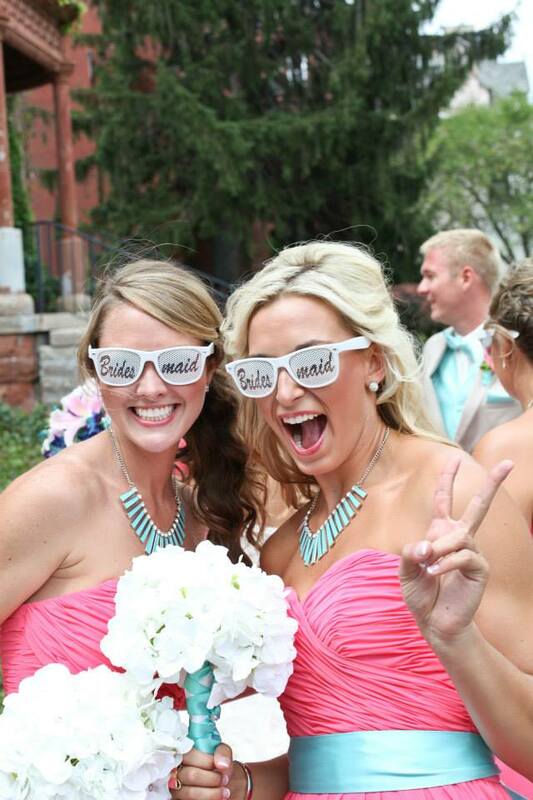 It is important for the overall venue's appearance and it creates a great customer experience. We focus very hard on bringing products that are innovative and attractive. That is why we have created a section on our website that targets the VIP experience in the nightclub setting. In bottle service presentation is key. So we have also developed a Bottle Presenter that will also take your bottle service experience to NEW heights. Take a look below to see what we have created. 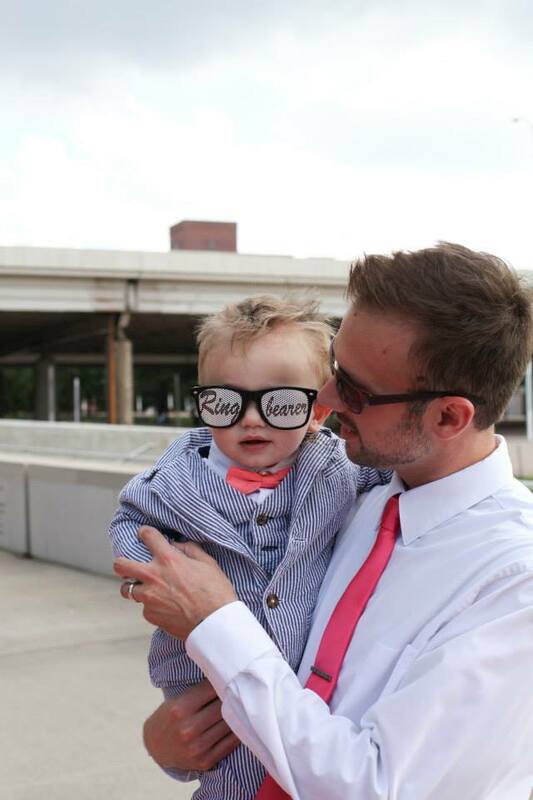 This Bottle Presenter is the ULTIMATE in bottle service. 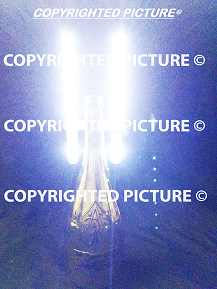 It was specifically designed for the "LED NITE SPARX PLUS" the "LED STROBE BATON" and the traditional BOTTLE SPARKLER. 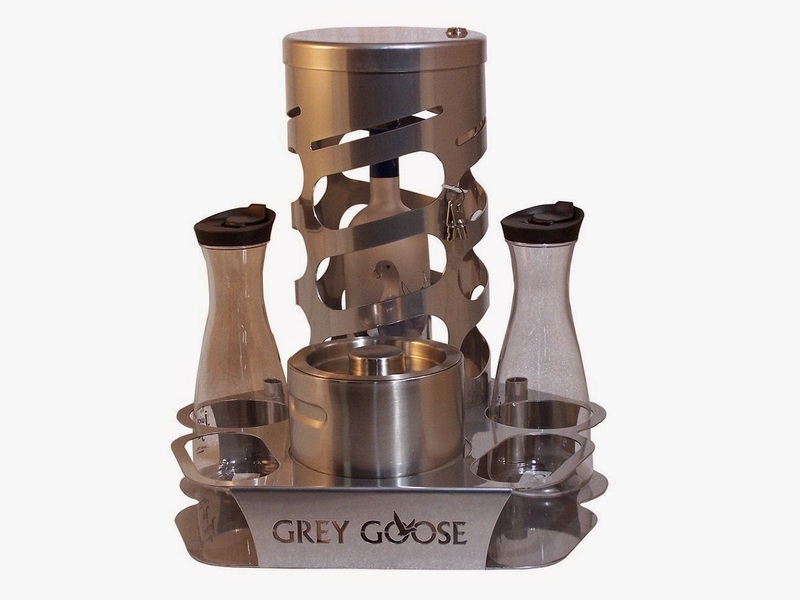 It is a fantastic item to have and a fantastic item to impress your guest. You can use all the accessories together or you can use them one at a time. 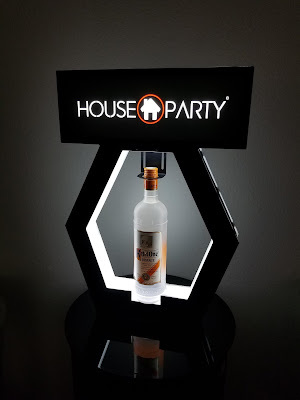 "VIP EXPERIENCE AT ITS FINEST"
Nightclub Supplies USA LLC specializes in products that catch the attention of your audience and your competitors. With our in house design team, everyday we push it to the limit in order to challenge ourselves. This method allows us to come up with innovative products or find the right companies that have them. Contact us right away to check out what we have or what we can do for you.. 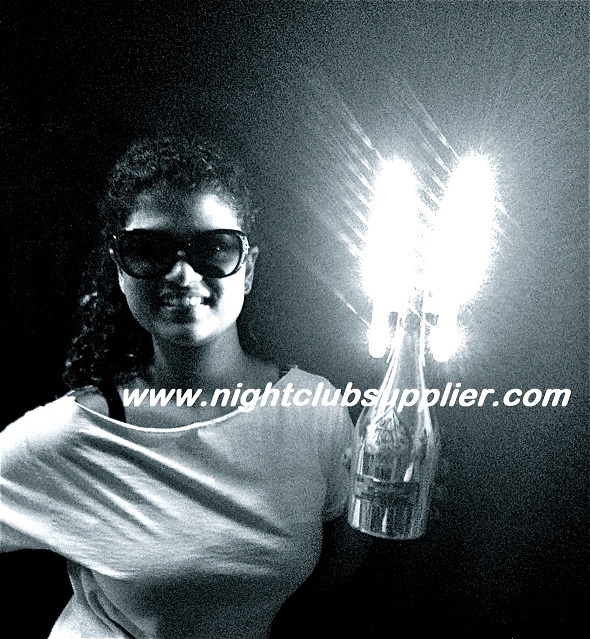 The best product that is now used for bottle service is our LED STROBE BATON(Electric bottle sparkler). This ultra bright wand is being used all over the world at nightclubs, events, lounges, and even private parties. 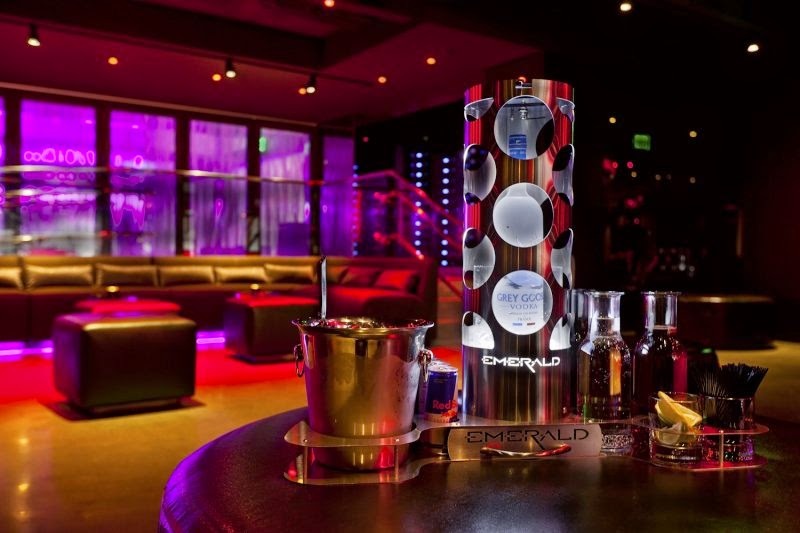 Thou is not as convenient as the vip bottle sparkler, it still serves its purpose at many venues all over the world. This amazing product is not only low on price but easy to use anywhere. Carries 6 AAA batteries and it has a simple push button function. 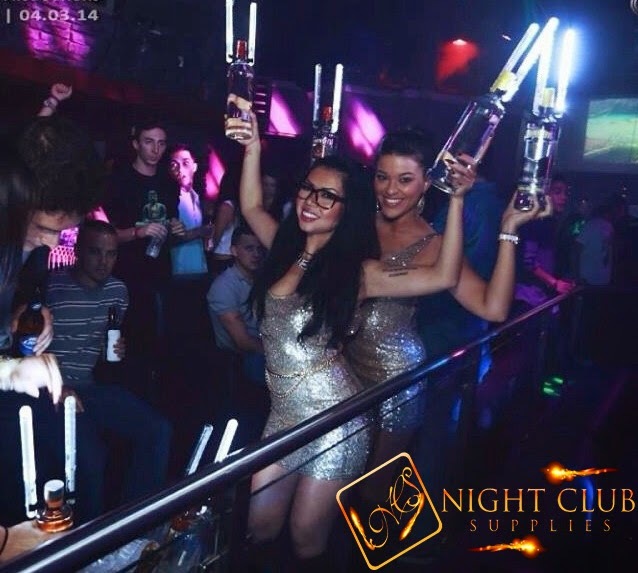 Once the battery is done then you can simply replace them..
As you can see, they are extremely bright which means as your bottle service girls pass by, it will catch the attention of any one in the area and it will definitely impress your VIP GUEST. 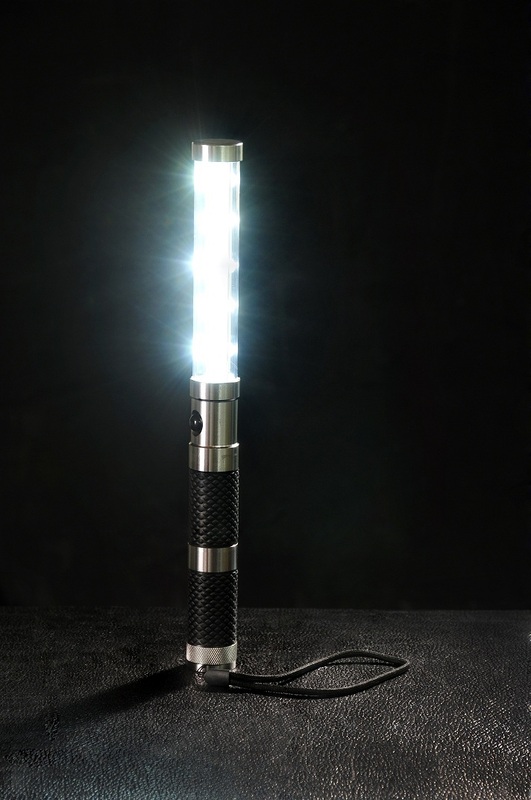 Now dont forget that we have an alternative, its called the LED NITE SPARX. 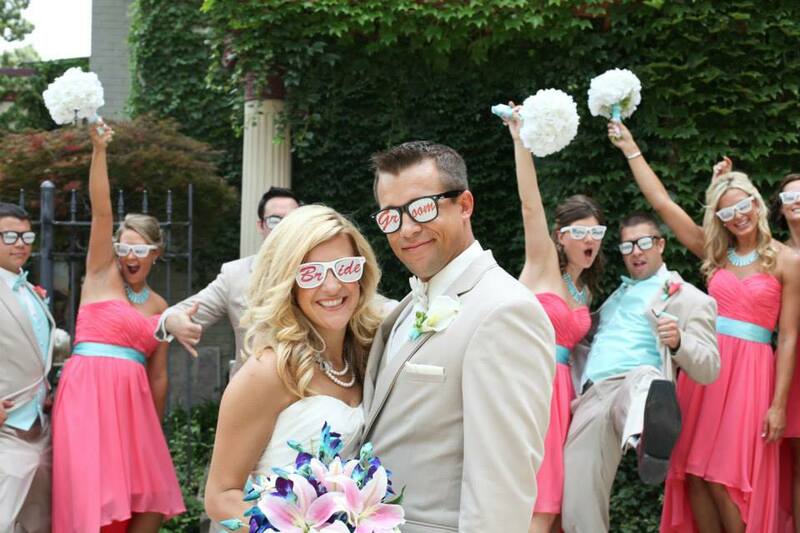 This product is an alternative to the Strobe. Its smaller and it gives the same effect. For more information on this fantastic product just contact us. 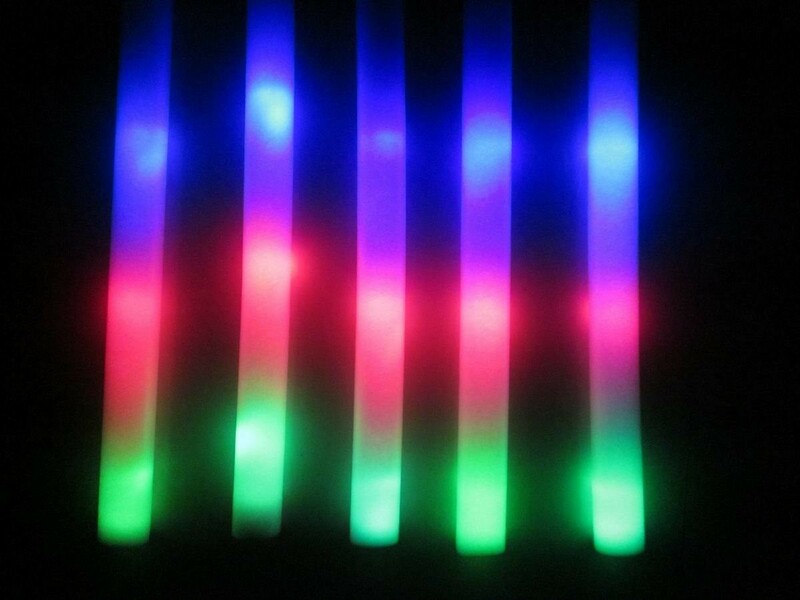 An incredibly party favor and one of our most popular party items to date Our LED foam sticks have a three function, three color LED action setting which you can use to set the mood and upswing of your event, club or party. 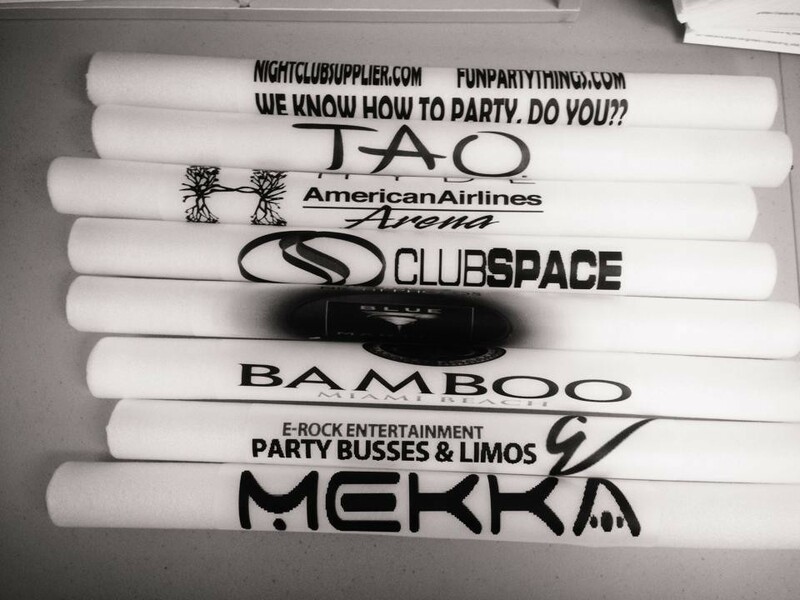 We have them as 18" LED foam sticks as well as a higher quality 16" LED foam sticks. 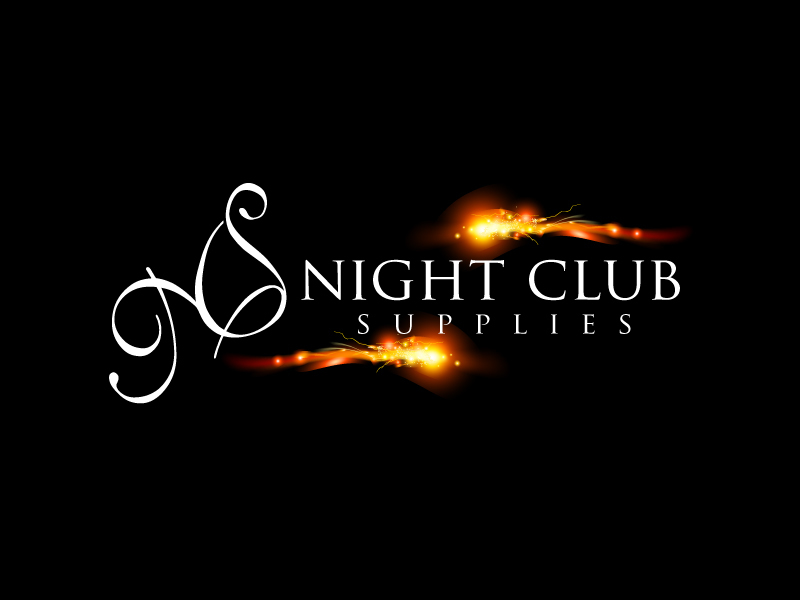 Extremely popular at nightclubs, concerts, parties, special events, grand openings, clubs and weddings, these party foam sticks are the perfect handheld party favors, guaranteed to excite your guests or any crowed. We have specials on bulk pricing and an easy upload tool for you to add your artwork.